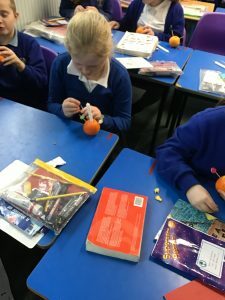 Creative Christingles in Year Four Aspen. 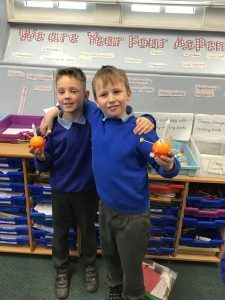 This week, as part of our RE topic of Christianity, we made Christingles. 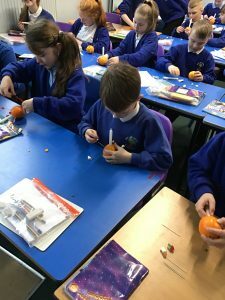 Christingles are used in church, normally around advent, to celebrate Christmas. 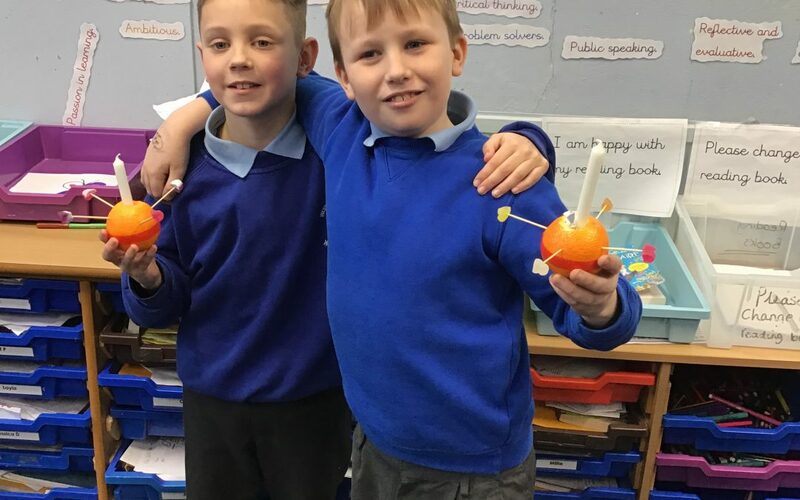 However, some churches use Christingles 40 days after Christmas (around 2nd February) when Jesus was presented at the temple in front of God. 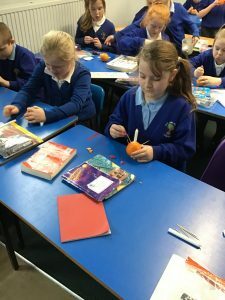 This is known as candle mass. 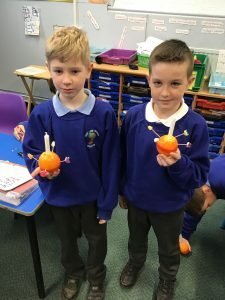 To celebrate candle mass, we made our own Christingles. 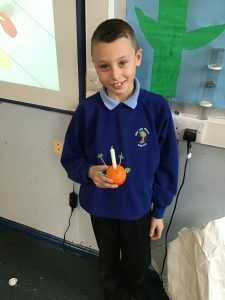 The orange represents the world, the sticks represent the four corners of the world, the sweets are the goodness of the world and the candle represents Jesus being the light of the world. 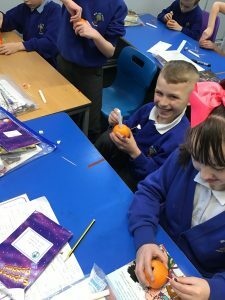 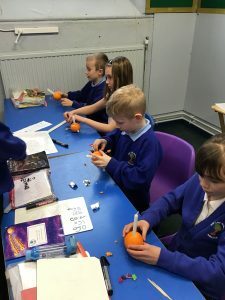 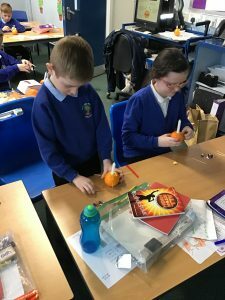 Have a look at our fabulous pictures of us making our Christingles, we had a fantastic time making them.